just to say thanks for everything and we hope to see you again in june. We ate here Four times and it is a lovely view from the Restaurant. The food was excellent, although we did not have full meals usually something like Pizza between us the quality was top drawer. Stayed at the hotel and had lunch a number of days at the Taverna. Excellent food every time and the staff are so friendly. Have the Mousaka, best i have had...and i have had quite a few of them all over Zante. Prices are very reasonable and sitting with the beach and the sea right there is a just perfect. 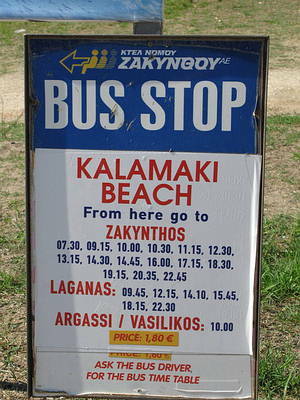 Stayed at Kalamaki between 3rd to 10th July and went down to the beach on 3 of these days to sunbathe, swim and relax. The Kalamaki Beach Taverna was a very welcome sight for lunch and drinks. Was not expecting much as thought this was going to be a basic type snack bar, but wow was I really surprised!!! The selection of foods on the menu and the quality served up was on par with all the tavernas at Kalamaki, with good service from the waiters. Would recommend this Taverna to anyone, especially anyone wishing to cool off from the sun on the beach. Just back from our second trip to Kalamaki with our little boy. The food at this Taverna is excellent. It's hard not to order lots and end up so stuffed you can't manage dinner out. We've never had a bad meal and the cheese pies are do die for. My husband was quite partical to their Seafood Spagetti and my son loved their milkshakes. The staff are really friendly and even recognised us from our previous trip. It's a lovely spot to sit in the shade and watch time go by on the beach. Can't wait for our next visit. Ideal spot to chill out after a stressy day of sunbathing on the beach. Helpful, friendly staff. Could not fault it. Kalamaki beach taverna was absolutely lovely, they did the best ever breakfasts in kalamaki and the setting right by the beach is perfect!! !Prices are very reasonable, the food here is absolutely top quality, gorgeous. The staff are ever so friendly, service is excellent. Great for any time of the day and evening. If your staying in kalamaki, this place is a must. 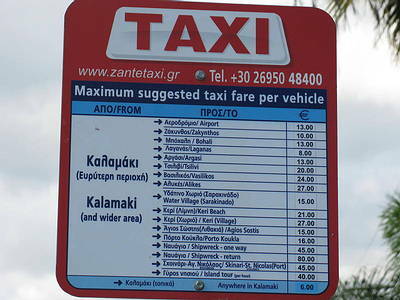 Also just down the road is kalamaki beach bar owned by hotel kalamaki beach too. This bar is perfect for a few quiet drinks and too just chill and relax, the bar man tom is great and so friendly and the prices here are great!!!! We will be going to Kalamaki in 2wks time & have lunched at this taverna every year for the past 5yrs. The only hostile member of staff that we have come across is a deaf mute, so that is to be expected. The food is great and the staff are lovely and considering how busy its gets at lunchtime and it is the only beach taverna the service is great . No doubt we will be visiting soon and I can't wait to sit at the front of the taverna which is a lovely suntrap at midday eating a greek salad, deep fried kalamari or courgettes & tsatsiki. Went a couple of times and really enjoyed it.The jacket potatoes with cheese were enormous!Great service and very friendly staff.Will be calling again next year! WE CALLED DOWN AGAIN TO THIS TAVERNA,ICE COLD ALPHA BEER ON DRAUGHT,FANTASTIC VIEWS,A GOOD LAUGH WITH THE STAFF,GETS VERY BUSY, GOOD LUCK TO ALL--------------------------YAMASS!! I really like the taverna, its very relaxing just to sit n eat yur lunch whilst pratically on the beach with out worring bout getting sad in yur meal and the people r really friendly, wish i was back there. This taverna is a must for a snack or a big meal! Or maybe just a long cold drink watching the planes coming in. It is right on Kalamaki beach, so is perfect to escape the sun! There is also a lovely pool behind which you can use. Lovely place for lunch, nice salads and great service with lovely views!! We came here twice. The food was nice, but we found the staff to be a little hostile, and others we met said the same. We also had to wait about half an hour for the bill. However, great location and a definite place to dine in the day! WE HAD OUR LUNCH HERE TOO,WITH SOME ICE COLD ALPHA BEER ON DRAUGHT,VERY FRIENDLY STAFF AND GREAT FOOD!! THE PROBLEM WITH THE TOILETS IS THE FACT THAT PEOPLE WHO ARE ON THE BEACH COME IN AND USE THEM,NOT PEOPLE WHO ARE IN THE TAVENNA,MAINLY GREEK PEOPLE EATING IN THERE WHEN WE CALLED IN,SPEAKS FOR ITSELF,THE VIEWS ARE FANTASTIC!!! its the only taverna on the beach. serves basic food, but reasonably priced and tastes good.